I once had a chat with a taxi driver that totally changed my mind about something. No, he wasn’t ranting about politics; he was waxing lyrical about beach huts. Up to that point I’d felt brightly coloured rows of huts were cute for a photo but otherwise the preserve of elderly people with tartan blankets over their laps. 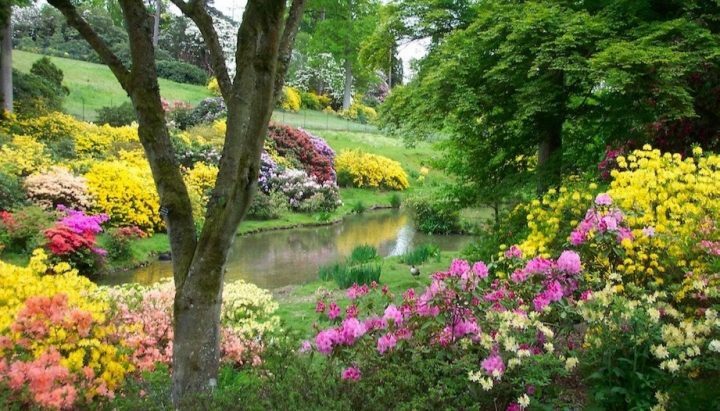 He, however, described a halcyon scene with his family gathered round, cooking fry-ups as the sun went down. I was sold. 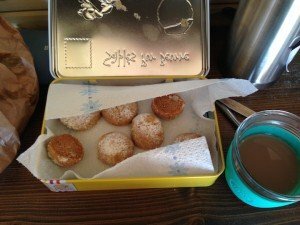 The thought off food often does that to me. 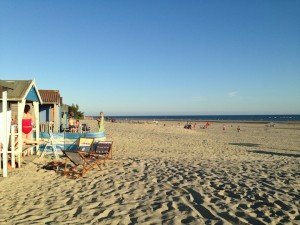 So some years back, after that conversation, I researched renting a beach hut and discovered to my disappointment that most were owned, or available on yearly rentals only, and they exchanged money for eye-watering sums. I gave up. 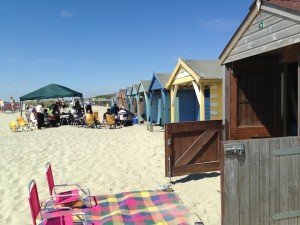 Then, just this month, my friend said she’d found a hut to rent for a week on a site that had several short term rentals and what’s more it was at West Wittering – Sussex’s answer to The Hamptons. Luckily I had caffeine and this view to soothe my traffic-frazzled mood. Ahh the Witterings. West Wittering is often named the county’s best beach. It has actual sand – and miles of it, when the tide is out – and tempting smart cafes lining the approach. 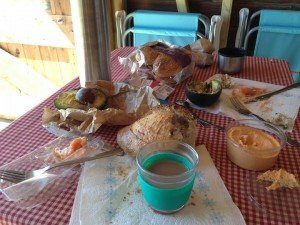 We’d brought our own picnic, so tucked into smoked salmon, avocado and sourdough bread in the hut, which sounds a lot better than it looked, as having forgotten to bring a sharp knife of any kind we sort of mauled things apart. We’d both pledged to work on location for the day and after the obligatory gossip, some writing did actually get done. 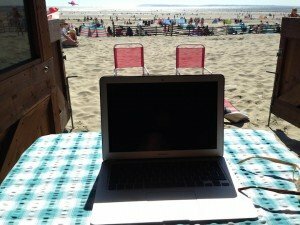 The hut was so roomy we could both have a table, chair and laptop side by side, me attempting the perfect laptop in shade, legs in sun position. The hut was surprisingly well-stocked however with deckchairs, recliners, windbreaks, buckets and spades, even boogie boards and sun hats, for proper beach fun. 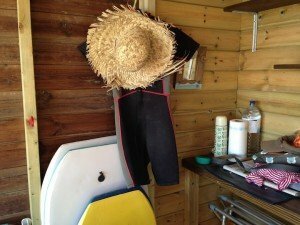 There aren’t many short-term rentals in Sussex but my friend found hers through beachhuts4hire.co.uk for a reasonable £120 a week. 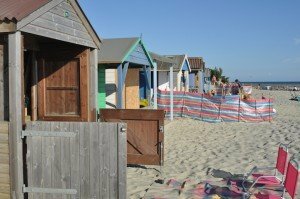 There are also a few huts on the site for weekly rentals in Worthing, Goring-on-sea, Brighton and Hove and Bexhill-on-Sea, some with stoves and beach toys, one with a vintage rug. A few, like the ones in Goring, even allow rentals as short as two days. You do have to factor in the parking – at West Wittering there’s no hourly rate and in high season it’s a flat £6.50 a day on weekdays or £8 at weekends (£4.50/£6.50 after 3.00pm) so it really isn’t a place you want to dip into for a couple of hours. The car park and loos are very handy from the beach huts however. There are also often events like walks and crabbing competitions going on at the beach. 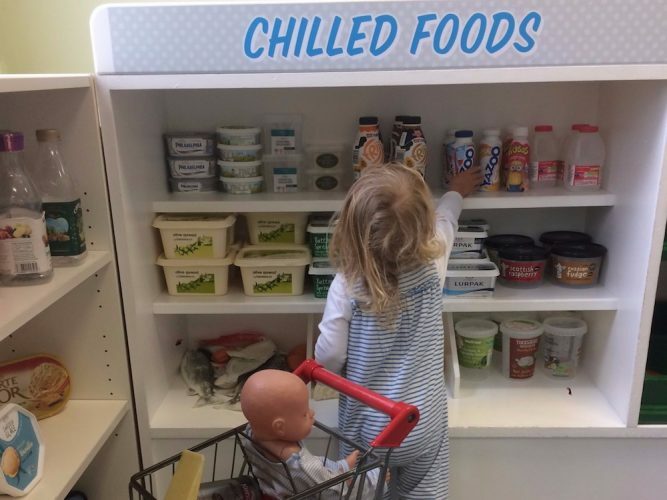 For families and friends a hut allows you to keep your paraphernalia in one place, have an easy pit stop for food, a cuppa, shelter from rain and wind and make an evening of it with a meal on a stove or, where allowed, a barbecue. I’ve thrown many an envious look as groups of friends cracking out the sundowners clustered in deckchairs round a beach hut. 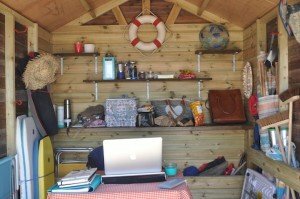 For my friend and I getting all writing retreat we reckoned off-season when the beach was quieter would be better as the hut felt like it would be pleasant and roomy enough for a bit of autumn or spring weather with the doors open or shut (there were windows in the inner doors) as the weather dictated. And next time, I’m doing that fry up.